Skin Owl's Beauty Whip is a beautifully formulated, do-everything face mask that gives the appearance of moisturized, even-toned, bright skin. Created for all skin types, this gentle maqui berry face mask includes super-ingredients rich in antioxidants that lend a hydrated and smooth feel. Apply a think layer to freshly cleansed skin, leave on for up to 30 minutes. Can be used as an overnight mask and rinsed the next morning. Best refridgerated. It’s the only moisturising mask in the market which does not have Shea butter in it. My acne prone skin is so thankful ! It is the only thing which has solved my problem of congested small bumps on my forehead. It was due to dehydrated skin and this worked. Just use it as a top layer of skincare on your skin and don’t wash it off. Great as a makeup primer too. Aloe plus sodium hyaluronate minus Shea is perfection! Great feel, but it separates. When I first tried this product, I really liked it. I used it as a moisturizer. About halfway through the bottle I started getting oil, instead of cream. I shook the bottle and opened it to shake out some product and got a handful of oil - wasted product. It never did mix no matter how much I shook it, so I never knew if I would get oil or cream. I do think this is not how the product should be. My skin likes it, though. Such a treat for my skin! 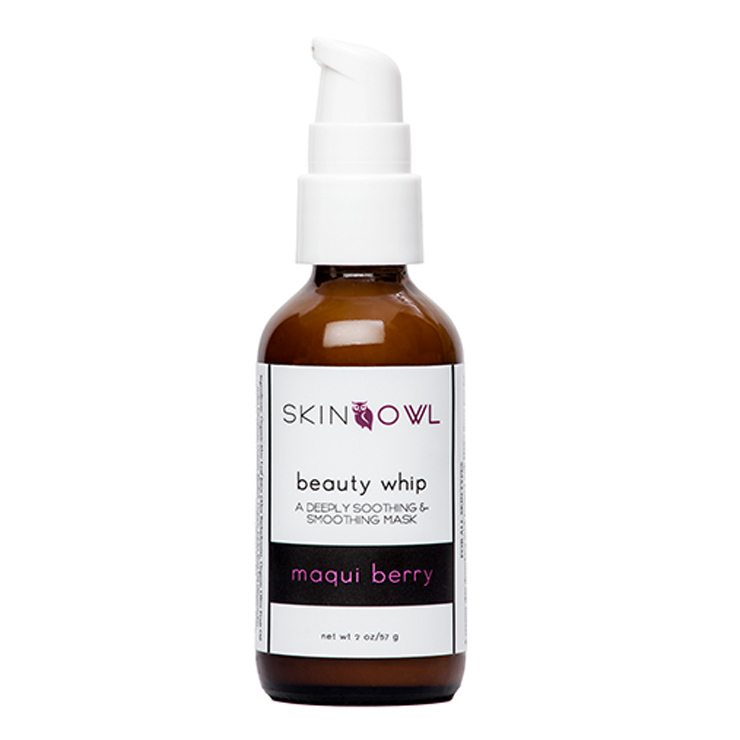 I have very difficult skin and the combo of this beauty whip with the Maqui berry drops seems to be a one-two punch knocking out my acne flare ups and soothing my dry irritated skin. I used it as a primer for makeup (as suggested) as well and it gives the skin a beautiful smooth texture and appearance. I'm so happy that beauty heroes has this line! I love it when products are little miracles in a bottle and for me these are just that! This is so silky, yet it looks invisible on my skin when applied. It does brighten my skin. it gives me a matte finish to my skin.